An interesting model by Boba-1980, but one that is rather fun and creative. 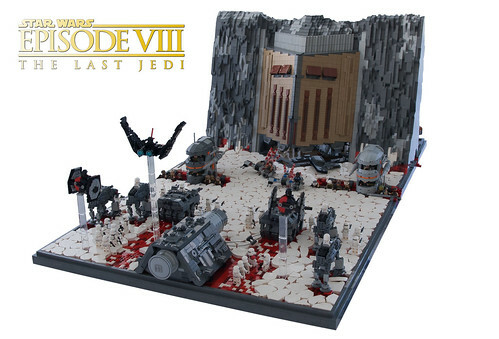 The builder recreated the Battle of Crait, something we have probably seen plenty of times by now (and it hasn't even been a year yet! ), but Boba-1980 make it in microfighter form. A condensed command shuttle, a smaller version of the base's turrets, and even a tiny First Order battering ram. What does that all create when combined? A fun model that I'm sure many kids could enjoy playing with.